Mark Israel is Winthrop Professor of Law and Criminology in the Faculty of Law at the University of Western Australia. There are a few things you might need for an experiment involving beagles and the side effects of contraceptive pills. Animal research ethics aside, beagles might be a good start. Sadly, one researcher at Deakin in the 1970s didn’t think so. Michael Briggs fabricated and published his data and the deception was only admitted in the mid-1980s. It seems in Australia we could be about to see another case of the beagle that didn’t bark – with one researcher facing fraud charges in court today. Queensland’s integrity agency, the Crime and Corruption Commission (CCC), reported last week that a researcher at the University of Queensland was being charged with breaching both state and Commonwealth laws for fraudulent use of grant money. The investigation continues and further charges could be forthcoming. The current charges stem from the CCC’s recent investigation of a speech pathologist and a neurologist. Bruce Murdoch and Caroline Barwood resigned from the University of Queensland in 2013 after a whistleblower claimed that they had not undertaken an experiment on Parkinson’s, despite reporting results in various journals. 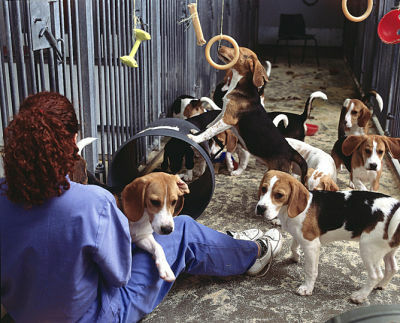 While the purported experiment did not involve beagles, it should have included human participants. The university failed to find any evidence that the experiment had been conducted. Instead, it discovered duplicate publication, statistical error and misattribution of authorship. The University of Queensland informed the relevant journals, three of which retracted articles. The university agreed to repay A$300,000 grant money awarded to the researchers on the basis of a track record that included the retracted publications. The university’s internal report will not be released until the Crime and Corruption Commission has finished its own investigation. How many ‘beagles’ are out there? Commentators have been divided on the extent of research misconduct in Australia. Mandy Thomas, then pro vice-chancellor for research at the Australian National University, recognized how hard it was to discover what was happening inside institutions, even in her position. You only hear about the number of cases, the number of investigations or the number of allegations that they’ve had in informal discussions with people. It is only when it reaches very serious cases of research misconduct […] that things become public. And very serious cases have become public. In 2002 David Robinson, vice-chancellor of Monash University in Melbourne, resigned after the university discovered that he had plagiarised on three separate occasions while working as a sociologist in the United Kingdom. Abebe Zegeye, a professor of sociology, was dismissed from the University of the Witwatersrand in 2010 and then forced to resign from the University of South Australia early the following year. The South African university initiated an inquiry as a result of complaints from three senior international academics that Zegeye had repeatedly plagiarized. In 2013, the University of New South Wales suspended the work on an experimental drug for skin cancer by Levon Khachigian and the National Health and Medical Research Council (NHMRC) withheld A$8.4 million in funding. Four of Khachigian’s papers had already been retracted in 2009 and 2010 and, during the investigation, Khachigian faced further accusations that he had manipulated images for publication. In 2014, Queensland University of Technology accepted the findings of an external independent inquiry that it had established to investigate the misrepresentation of data relating to stem cells in one article and a grant application. The university accepted the committee’s finding of misconduct by one researcher and a failure by another to fulfill her responsibilities as a supervisor. Why do researchers fabricate and plagiarize? Systematic research into the causes of scientific misconduct is scarce. However, occasionally committees of investigation and research organisations have offered some comment. Some see the researcher as a “bad apple”. A researcher’s own ambition, vanity, desire for recognition and fame, and the prospect for personal gain may lead to behavior that crosses the limits of what is admissible. Others point to the culture that may prevail in certain disciplines or research groups (“bad barrel”). too much emphasis on such metrics can be misleading and can distort incentive systems in research in harmful ways [and] research institutions need to embrace incentives that deter irresponsible actions. So, individuals are forced to meet publication and citation targets in order to obtain jobs, grants, research contracts or sponsorship. In Australia, research infrastructure is likely to be funded according to the results of a national research performance evaluation, Excellence in Research for Australia. As this exercise begins to have more of an effect, the pressure from institutions on their staff to publish are likely to intensify, and to publish whether or not they actually have beagles. Mark Israel acts as a paid consultant on research ethics and research integrity for a range of Australian higher education and research institutions, and for the European Research Council. He is part of a research team awarded an Australian Research Council. Discovery Grant (DP130104760 2013-15) on the expanding disciplinary scope of research ethics committees: an inquiry into need and resistance. This entry was posted in Research Ethics and tagged Australia, Ethics, The Conversation. Bookmark the permalink. Trackbacks are closed, but you can post a comment.